The Tiger Woods show lasted only two days at Torrey Pines last week and even this significant drop in grade for the Dubai Desert Classic means no guarantee of full employment for the headline act. Woods's swing in the Farmers Insurance Open was alarmingly poor and does not bode well for the season ahead. The 14-time Major champion was so late on his shots, lacking the flexibility and clubhead speed of old, and countless misses to the right resulted. As was the case for the Farmers, Woods is tackling a course which he has previously humbled, but those successes came when he was the best player in the world. Tiger putted well at Torrey last week and his short-game looked in decent shape, but tee to green he seems to have massive issues to overcome. Woods may cast an envious eye at Open champion Henrik Stenson on the Emirates Club driving range this week. Stenson's ball-striking ability is in a different league these days. And Sergio Garcia, a man so often humbled by Woods in the past, is also in Dubai to demonstrate the long-game class that his American rival no longer appears to possess. Bookmakers are wise to Stenson's hopes of victory this week and the Swede's price lacks juice, while Garcia did not play in Abu Dhabi or Qatar, so has not acclimatised to the region like most of the field. Both seem likely contenders, but the 25-1 about Bernd Wiesberger makes most appeal. Wiesberger is another player who hits his ball with great authority. The Desert Classic looks like a tournament in which to support solid tee-to-green operators, with strong winds set to be a feature and the Emirates baring more teeth than usual. Wiesberger is one of the most consistent long-game operators on the European Tour and does not make many bogeys. Wiesberger has finished in the top seven in seven of his last nine events, including runner-up efforts in the KLM Open and British Masters. The giant Austrian was fourth in Dubai in the DP World Tour Championship at the end of November, then started this term with another fine desert performance, sharing fourth spot in Abu Dhabi. 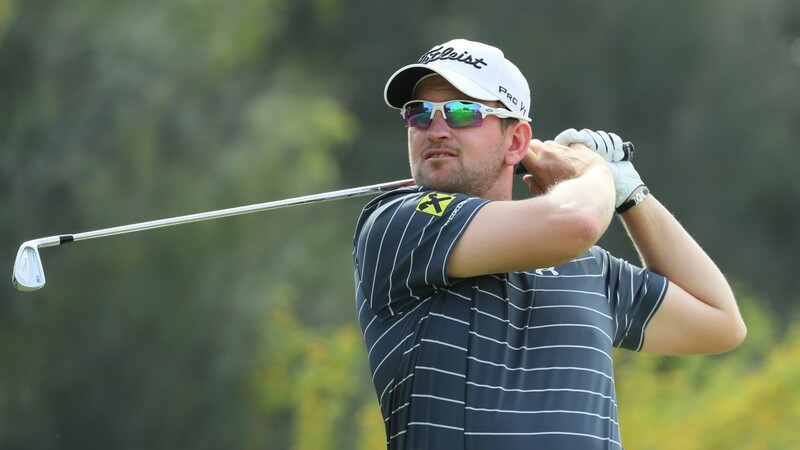 A disappointing opening three rounds in Qatar last week left Wiesberger adrift due to a failure to hole putts, but a closing 68 sent him to Dubai in decent heart. This proven desert rat, who has rock-solid three-year Classic form figures of 9-4-16, can handle the forecast wind and threaten a fourth European Tour title. Wiesberger has been boosted by comments made by new European Ryder Cup captain Thomas Bjorn in Qatar. Bjorn said how much he admired the game of Wiesberger, who won the 2015 French Open at the next Ryder Cup venue. Keep stakes sensible for Dubai as strong Friday afternoon winds are set to be a factor. A breeze of around 25 mph is expected in the morning, rising to potentially unplayable speeds in the afternoon. With breeze forecast throughout, punters should be supporting players who are proven with the elements flapping their trousers. Chris Wood certainly has no fears. Wood, who has twice contended for the Open Championship, won his maiden European Tour title in nearby Qatar in 2013 and has always been comfortable in blustery conditions. The Ryder Cup man closed with a 67 for 11th place in Qatar on Sunday and should be ready for a more serious title tilt in Dubai. Wood, BMW PGA champion and a three-time European Tour winner, has not finished outside of the top 30 in his last six starts at the Emirates. The Bristol boy was tenth in 2011 and eighth last year. Like his pal Wiesberger, Thorbjorn Olesen was unhappy about not contending in Qatar, but the Dane also finished with a flourish and can make amends in Dubai. Olesen fired a Sunday 68, which included a hole-in-one, and his confidence remains high after a burst of success at the end of last season. Dubai is Olesen's favourite Tour stop and he has finished third, fifth and eighth the last three times he has teed up fit in the Desert Classic. He was crocked for 2015, suffering with a tendon injury in his left hand. This four-time Tour winner, a former Dunhill Links champion, has a proven record of success on windswept terrain. The Abu Dhabi champion should appreciate the stiffer than usual tee-to-green test of the Emirates this week and does not fear a breeze. A lacklustre effort and missed cut in Abu Dhabi was followed by a trip home to England, then he started this week at the Abu Dhabi Invitational Pro-Am. Class act may be short of top gear. The Belgian bomber, like Fitzpatrick, started the week messing about in the Abu Dhabi Invitational. Missed the cut in the proper Abu Dhabi event and has been unimpressive since Ryder Cup heroics. The Korean short-game magician goes to the well again after his playoff victory in Qatar on Sunday. Won back-to-back on the European Tour last year and is seeking a repeat. The Challenge Tour graduate has taken to the higher grade like a duck to water and already looks ready to claim silverware. May be lacking mental energy, though, in fourth week on the spin. The Irishman relishes wind, as he proved at Torrey Pines last year and with his bold Open title tilt at St Andrews in 2015. Playing nicely but wobbling on Sundays. Course overview Emirates Golf Club has been used for the Desert Classic since 1989 apart from a two-year switch to Dubai Creek from 1999 to 2000. A score of just 11 under par was enough to reach at least a play-off in the tricky conditions of 2010 and 2011, but traditionally the Emirates has been a low-scoring track where something approaching or passing 20 under par has been required for victory. The back nine is the scoring half, with three par-fives (the tenth, 13th and 18th) and two relatively short par-threes (11th and 15th) and Tiger Woods came home in 31 shots (six under par) when winning in 2008 with a late birdie blitz. Trees and shrubs are waiting to punish the seriously wayward, and water comes into play on ten holes, but fairly straightforward, flat greens mean the competitors can relax once they have got putter in hand. The course was slightly toughened up last year, with most of the bunkers deepened. The greenkeepers cut the fairways from tee to green for the first time, too, meaning drives were landing downgrain and going forever. Type of player suited to challenge The Emirates has traditionally been a big-hitters' track, but there was more run on the ball last year and the strong winds forecast this week put more of a premium on accuracy. Those who can hit it long and fairly straight, and are comfortable in desert conditions, should thrive. Punters have a difficult puzzle to solve with regards to the tee-times. Do you oppose those due out on Friday afternoon or support them? This proven desert rat, who has rock-solid three-year Classic form figures of 9-4-16, can handle the forecast wind and threaten a fourth European Tour title.